Six alumni from the University of Michigan and the Ross School of Business are listed among the Most Influential Blacks in Corporate America in an annual list of powerful business leaders from Savoy, an African-American business and lifestyle magazine. The six Michigan alumni (including four who received degrees from Michigan Ross), were among those selected as finalists from a short-list of more than 500 black leaders across the country. “These innovative trailblazers have led efforts to foster growth for some of the country's highest-performing companies throughout and beyond the US market." said L.P. Green, II, Publisher of Savoy magazine. The group of Michigan alumni who made the final list certainly fit that bill. 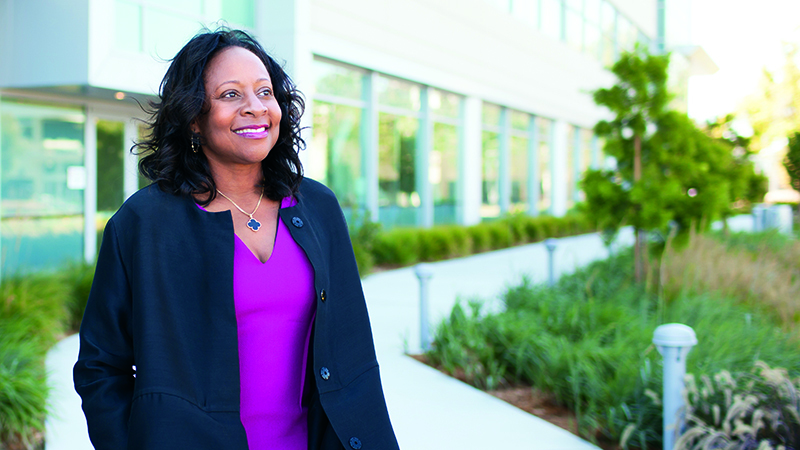 From the first African-American to make partner at the Boston Consulting Group, to the female CFO of a biopharmaceutical company who also serves on The Council on Foreign Relations, there’s no denying their accomplishments, their influence, and the inspiration they provide to the Michigan Ross community. Executive Vice President and CFO, Gilead Sciences, Inc. In her executive role with Gilead Sciences, a biopharmaceutical company that develops and commercializes innovative medicines in areas of unmet needs, Washington oversees investor relations, and the global finance and information technology organizations. Gilead’s suite of products and research areas include treatments for HIV/AIDS, liver diseases, cancer, and respiratory diseases. Washington has previously been recognized sixth on The Wall Street Journal’s 2014 list of Top Performing CFOs in the S&P 500. She has also been named one of Treasury & Risk’s 30 Outstanding Women in Finance and Black Enterprise's 75 Most Powerful Women in Business. In addition to being a member of the Council on Foreign Relations, Washington also serves on the board of directors for Honeywell International and Salesforce. Chief Strategy and Transformation Officer, FTI Consulting, Inc.
Linton, who was the first African-American to be promoted to Partner at the Boston Consulting Group offices in Washington, D.C., now manages the global advisory firm FTI Consulting, Inc. where he is responsible for developing the company’s overall strategy and transformation agenda alongside the CEO. As the manager of the venture capital arm of General Motors, Prior is responsible for investing in growth-stage companies to enhance GM’s ability to innovate. When he started with GM he brought with him a wealth of experience in finance and investments, including experience as a senior associate for Morgan Stanley Investment Management in New York. As an Executive Vice President of Adient, Byron Foster lead’s engineering, manufacturing, program management, quality, procurement, and supply chain functions of the company’s global automobile seat business, supplying the world’s car makers with the seat structures and mechanisms necessary to create world-class automobiles. Before Adient, Foster worked as a senior associate at Booz Allen Hamilton. In addition to his work with Adient, Foster serves as a Director for the Detroit Regional Chamber and the National Action Council for Minorities in Engineering (NACME). Working in the C-Suite for United Airlines, Hart manages the company’s legal and environmental affairs, corporate security and real estate, communications, and regulatory and policy matters. Prior to United, Hart also held executive leadership positions with Sara Lee Corporation, the Sonnenschein Nath & Rosenthal law firm, and the U.S. Department of Treasury. Since joining Deere & Company as an attorney in 2001, Marc Howze has held many roles inside the iconic agriculture supply company including his current position as Senior Vice President and Chief Administrative Officer, where he oversees human resources, labor relations, public affairs, brand management, communications, and security. He also sits on the Board of Directors for Nationwide Insurance, the Thurgood Marshall College Fund and the Executive Leadership Council. Prior to John Deere, Howze was a member of the U.S. Army as an Artillery Officer.